As per Allsportspk readers request as and when any of the ranking is announced it is being published. The full rankings will be published when announced by ICC during the last week of June 2018. Only ODI, T20 teams rankings have changed, players ranking have not changed. England retained their top ODI spot by beating Australia in the first two ODI matches in the ongoing series. Meanwhile, Pakistan replaced Australia and broke into the top 5 ranks of the ODI men’s ranking. 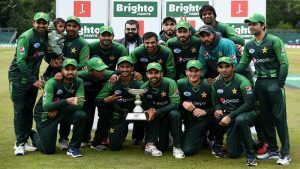 After a convincing T20 series win against Scotland, Pakistan retained their top rank in T20 Men’s cricket ranking followed by Australia and India. 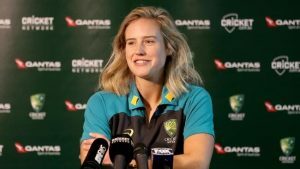 Recent performances by the Australia team allowed them to retain their top spot in the Women’s cricket rankings followed by England and New Zealand who are placed at teh 2nd and 3rd respectively. 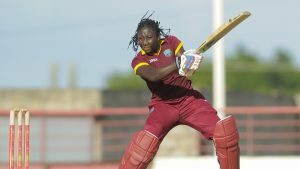 Elysse Perry increased her points lead and still holds the number one rank in the ODI Women’s batting rankings. Other upgrades in this cricket rankings category were of Tammy Beaumont and Heather Knight who are now placed at 11th and 12th respectively. Jess Jonannsen remains at the top spot followed by Megan Schutt and South Africa’s Shibnam Ismail who jumped up to the 3rd rank position in the Women’s bowling cricket rankings. Elysse Perry remained at the top of the Women’s All-rounder cricket rankings followed by Stefanie Taylor and South Africa’s Dane Niekerk. Meanwhile, Pakistan’s broke into the top 5 after her recent performances, replacing South Africa’s Marizanne Kapp. 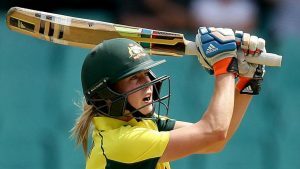 Stefanie Taylor holds the number one rank in the women’s batting rankings followed by Suzie Bates and Meg Lanning. 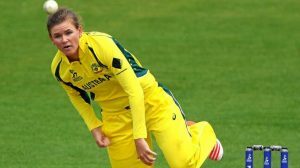 Australia’s Elyse Villani replaced India’s Smriti Mandhana and is now placed at the 8th rank in the women’s T20 bowling cricket rankings. Megan Schutt remains at the top of the women’s T20 bowling rankings followed by Leigh Kasperek and Poonam Yadav who replaced WI’s Hayley Matthews to claim the 3rd spot. Hayley Matthews remains at the top of women’s all-rounder cricket rankings followed by her team mates Deandra and Taylor who are placed at 2nd and 3rd position respectively. Previous articleBreaking World Cup 2018 – Sweden Vs South Korea: Who Won…? Next articleBreaking World Cup 2018 – Belgium Vs Panama – 1st Half: Whose Leading?